The Union Ministry of Environment, Forest and Climate Change launched the National Clean Air Programme (NCAP) on January 10, 2019 with the stated aim of reducing air pollution and bringing down harmful PM2.5 and PM10 levels by 20 to 30 percent from 2017 levels by the year 2024. The NCAP has provisions for the formulation of city-specific action plans to combat air pollution. The programme focuses on 102 non-attainment cities whose ambient air quality was found to be in violation of the national standards during the monitoring between 2011 – 2015. 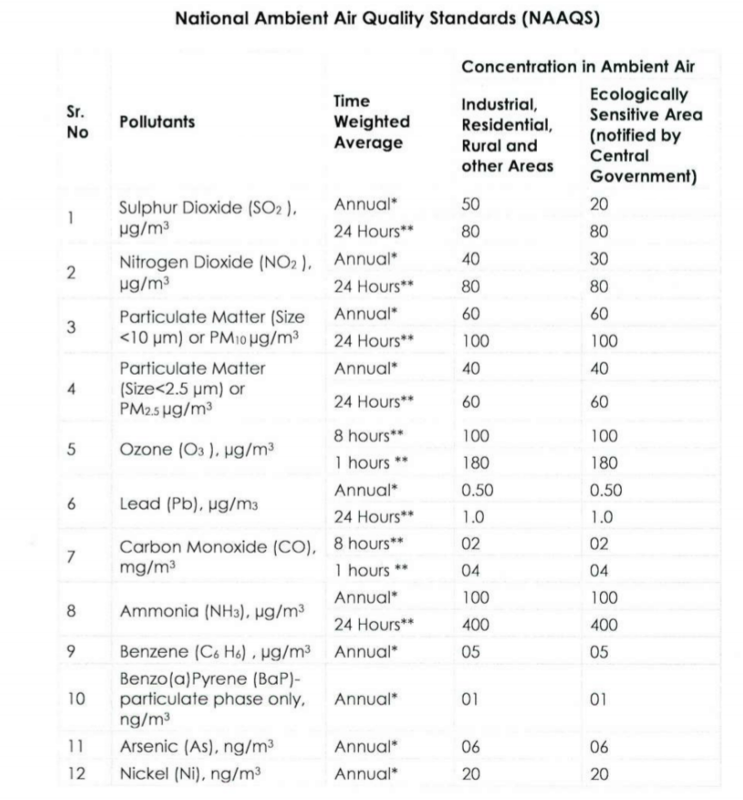 The NCAP deems non-attainment cities on the basis of PM10, PM2.5, SO2 and NO2 levels which are 4 of the 12 key pollutants listed under the National Ambient Air Quality Standards. Data from the WHO ambient air quality database was also taken into account. Most cities that made the list did so due to high levels of PM10 (particulate matter 10 micrometers or less in dimension). The cutoff for the yearly average stood at 60 μg/m3. Out of the 102 cities, 94 registered high levels of PM10 over five consecutive years and five cities registered high NO2 levels. While most major metropolitan cities are part of the NCAP, conspicuous by its absence is Chennai, which does not feature as part of the nationwide framework to address air pollution, making it the only metropolitan city to be left out. A report by Greenpeace India highlighted that the list of non-attainment cities evolved on the basis of data up until 2015 leaves out as many as 139 cities that have recorded air quality poorer than the National Ambient Air Quality Standards (NAAQS). Chennai is one among the 12 cities excluded that has a population of over 1 million. If the NAMP data on PM10 in 2017, which was available during the conception of the NCAP, had been taken into account, Chennai would have made the cut for the list of non-attainment cities on account of poor air quality. The combined data shows that Chennai’s average PM10 levels according to the NAMP exceeded the national standard, 60 μg/m3, on three out of the five assessment years . The air quality in Chennai is affected by a variety of factors such as localised industrial pollution, vehicular emission, dust pollution and garbage burning. A recent report by the Centre for Science and Environment on vehicular emissions provided damning evidence of the growing threat of air pollution in the city. 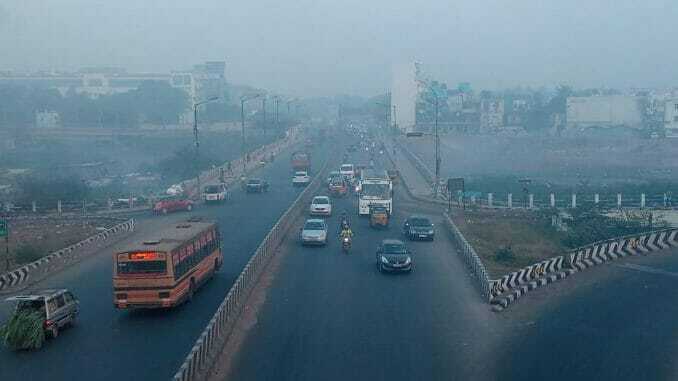 The study ranked Chennai second only behind Delhi in a ranking of 14 cities on emissions of heat-trapping carbon dioxide, toxic pollutants, particulate matter and nitrogen dioxide due to urban commute. The growing vehicular population of the city has been cited as a major cause, with the city being home to 53,94,413 vehicles. The monitoring mechanism in place has also come under the scanner with the city’s 11 manual monitoring systems and three continuous monitoring systems considered grossly inadequate. Strengthening of the air quality monitoring network in the country is thus an important aspect of the programme. Monitoring stations and standardisation of equipment is vital to accurately measure and tackle air pollution and its various sources. Chennai only has three continuous air quality monitors that are being operated on a rotational basis with no real-time data available. In the past, questions have been raised about the standard of equipment and monitoring by the TNPCB. Think tank Urban Emissions recommends that a city the size of Chennai should ideally have 38 air quality monitors to accurately assess the levels of pollution temporally and spatially. A key element of the NCAP is also the evolution of city-specific action plans for non-attainment cities that will see the listed cities conduct an in-depth source apportionment study to identify the various sources of air pollution and assess the monitoring mechanism in place for the same. The NCAP recommends that cities associate with leading institutes such as the Indian Institute of Technology (IIT), The Energy Resources Institute (TERI), National Environmental Engineering Research Institute (NEERI) and Automotive Research Association of India (ARAI). In the first phase, ten cities from the list of 102 will avail technical expertise from the aforementioned institutes to create an action plan. The city specific action plans shall include identified sources of emission, extent of their contribution and the assessment of various ways to tackle them based on a prioritised list tailored to each city. An action plan is then evolved, considering the economic viability and the feasibility of possible solutions. The city-specific action plans will be helmed by the pollution control boards of the respective states and the apportionment study will be fully funded by the respective states. 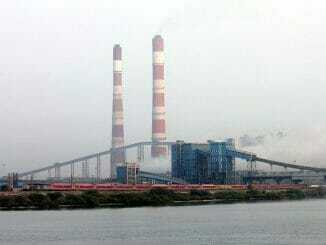 No specific action plan on identification of sources of pollution is in the cards officially, according to the TNPCB. Inclusion in the NCAP could perhaps have given a push to such a source apportionment exercise. While the NCAP has itself come under criticism on various counts including the paltry allocation of Rs 300 crores for the programme’s initial phase and the lack of legal standing that would allow for strict enforcement of its provisions, exclusion from the framework, however flawed, leaves Chennai outside the discourse on air pollution in the country altogether. “Without a policy framework for Chennai or any city that is outside the NCAP, the State Pollution Control Board is the only authority on air quality and pollution control. Unless they recognise the severity of the problem of air pollution, the agencies will not do anything to fix it,” adds Shweta. With the news of Chennai’s omission eliciting surprise and shock from the citizens, a collective of doctors – Doctors for Clean Air – who are concerned about the health implications of air pollution have come together to form a coalition that hopes to lobby for Chennai’s inclusion in the NCAP, by highlighting the various problems that can be ascribed to air pollution and detailing the ground realities. 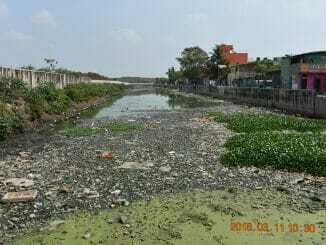 The hope for Chennai is that through concerted efforts by various stakeholders, the problem of pollution that the city is grappling with will be taken into account and Chennai will be included within the ambit of the national framework, providing the focus and access necessary to combat the crisis.